SLM85 I love The Balm products. This was the first product I purchased from the brand and have purchased MANY since. This creates the most beautiful highlight you have ever seen. It's a champagne colored highlight. It is pigmented and smooth. You get sooo much product for the price. This will last you for a LONG time. I have had this for about 7 months and have not made a dent in it. I use it to highlight my cheeks, inner corner, and brow bone. I use this everyday. This is my holy grail highlight. I don't need to search for anything else this is it! Product Junkie I am hooked! I happened upon this product line in reading a dermatologist's reviews of the quality of products on the market in distinguishing those with quality ingredients and staying power against those that are just backed by marketing hype and labels. Glad I did. This ranked at the top. Keep in mind that it is designed to be a highlighter, so if you're seeking high pigment, you just need to layer. This product goes on smoothly, a little goes a long way and it stands up to 2 hour runs in the heat in which most products oxidize and slide right off my face. Most of the time, these runs are AFTER a 10 hour work day, so this stuff really performs. Right now, I own Balm Hot Mama All in One Blush, Balm downBOY Shadow Blush, Balm Mary-Lou Manizer and Balm Tinted Moisturizer. By the way, the Tinted Moisturizer has outperformed every one on the market for it's quality. Just do a little internet research and you'll see. ZiggyNic I am hooked! I happened upon this product line in reading a dermatologist's reviews of the quality of products on the market in distinguishing those with quality ingredients and staying power against those that are just backed by marketing hype and labels. Glad I did. This ranked at the top. I wanted to see what this would do as I heard good things about it from my favorite youtube channel. I've found myself applying it everywhere at one point or another. Some days I use it as my eyeshadow even. Other days I use it on my neck, highest part of cheekbone, and just a smudge on my cupid's bow (upper lip). I goes on so easily- and my favorite thing about thebalm products holds true for this product as well>>> a little goes a long way. I love that I don't have to pile on the product. Kitty Soft Paws I am really unhappy with this product because it was broken when it arrived. The pan holding the product popped out of the compact and the stuff's everywhere even on the dark brown glue underneath that failed. I did read a bunch of reviews about it being flimsy and easily broken but they still raved about the product so I took my chances. There's a fairly good amount of the product and I don't see myself running out of it anytime soon. I use it as a highlighter in the brow bone and corner of the eyes. I also used it on the cheek but I found you have to be light-handed or you overload on it easily and it accentuates pores which don't show up normally. I really wanted to like it. But I will just stick to Bobbi Brown shimmer bricks. SueA This is fabulous, loved this product from the get go. Not too dark. just enough color. Looked very lovely when I used it as eye shadow as well. 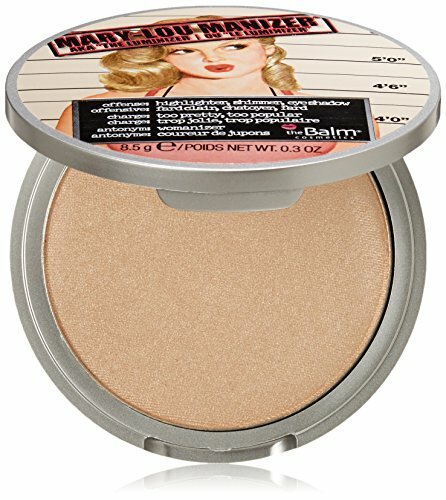 NYC Thirtysomething This is a really great product -- a perfect slightly-shimmery texture and just enough peachy color to make my skin look fresh and bright without looking like I am wearing a lot of makeup. It works well as an eyeshadow in addition to highlighter. The only con I have is that the product arrived completely shattered and cracked, so it's a mess to use -- every time I open the compact, powder flies everywhere and I end up with a shimmery bathroom sink -- but even with that, it's still great looking once I get it on! Neenee Makes a great eyeshadow and highlighter. Has a nice golden shimmer to it. Love the compact it comes it. 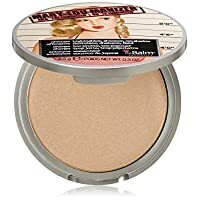 CindysReviewsTV I LOVE THIS HIGHLIGHTER!I AM LIGHT SKINNED AND THIS ACTUALLY LOOKS NATURAL, IT DOESNT LOOK LIKE A WHOLE BUNCH OF GLITTER ON YOUR CHEEK BONES, I APPLY IT ON MY NOSE, CUPIDS BOW, AND CHIN AND WHEREVER THE LIGHTS HITS MY FACE I JUST GLOW!! LONG LASTING!! I SLEPT WITH MY A FEW DAYS AGO AND EVERYTHING WAS SMEARED BUT THE GLOW OF THE LOU MANIZER... I MEAN THAT RIGHT THERE SAYS ALOT!! I WILL BE BUYING ANOTHER ONE FROM BEAUTY.COM VERRRRY SOON!